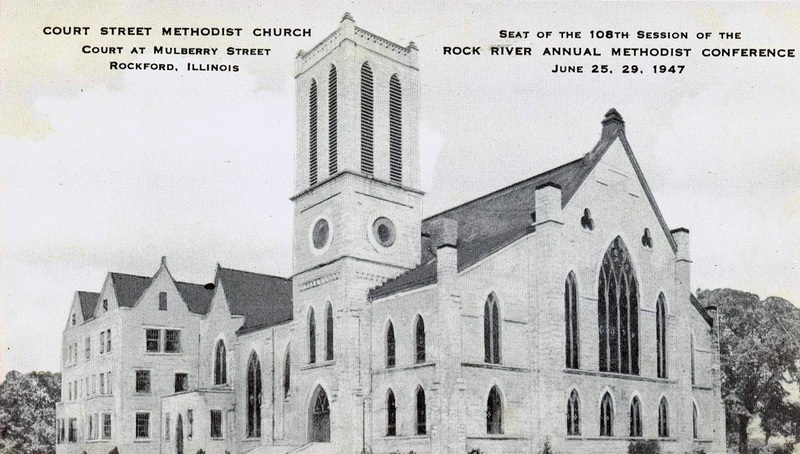 Material for the information below was gathered from Rockford early newspapers through Genealogy Bank's Historic Newspaper Archives 1690-2010. 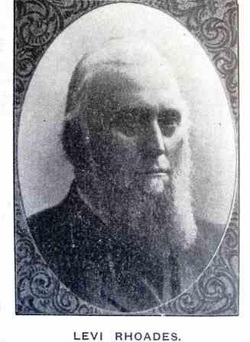 Willard Wheeler came to Rockford in 1839 from St.Thomas Upper Canada. He was the second tinner in town. A tinner, also called a tinsmith, works with tin or other easily worked metals. 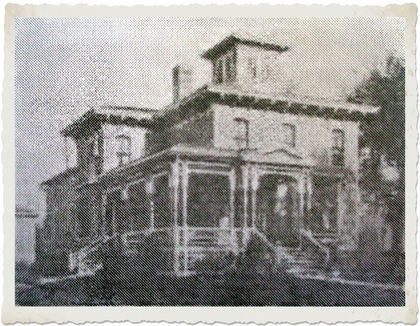 His brother Solomon also lived here and owned a lumber business. He began an interest in Rockford politics as early as 1840. He sold ploughs, owned a sawmill and worked to encourage the railroad to come to Rockford, He died in 1876. Wheeler was a founding member of the Third Street Methodist Episcopal Church and led classes there. He had at least two daughters--one who died in 1876 at age 37.The other married prominent attorney Orrin Miller. 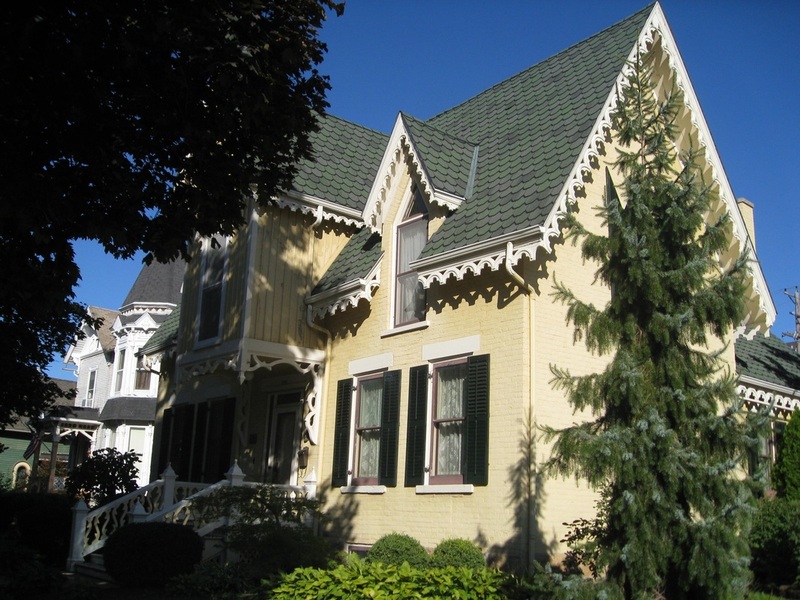 The Willard Wheeler house -- known as the Daffodil House and the Wheeler / Johnson House -- sits on the corner of First and Oak Streets caddycorner to Ingersol Park, The Gothic-Cottage style home with its steep pitched roof and gingerbread trim was built from 1843-1846 by Wheeler. He and his wife Maria lived there from 1843-1861. Some sources say that a small brick house built by Daniel Shaw Haight stood on this property before Mr. Wheeler built his house. The house has had a number of owners all of whom cared for it well. Dr. A. Frances Johnson, a physics professor at Rockford University (then Rockford College), bought the house in 1941 (or 1945) and lived in it for over 40 years. Willard Wheeler House sits at 228 S. First Street in historic Haight Village. A stone and plaque recognizing the date and first owner of the house sits on the northeast corner of First and Oak Streets. 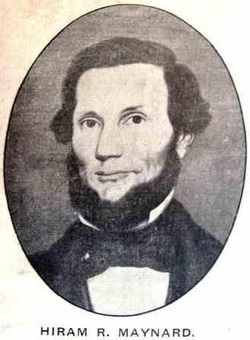 Hiram Maynard came to Rockford in 1837 with his brother-in-law Benjamin Kilburn. Mr. Maynard ran a general store. In 1846, he was elected Sheriff of Winnebago County and held this position until 1850. In 1852, he was appointed City Treasurer which led to his candidacy and then election as mayor. In 1853, he was elected mayor and re-appointed City Treasurer. In that year, he was also Rockford's representative on the Winnebago County Board of Supervisors. In 1855, he was a member of the board of directors of the Rockford Cemetery Association. This cemetery became Greenwood Cemetery. 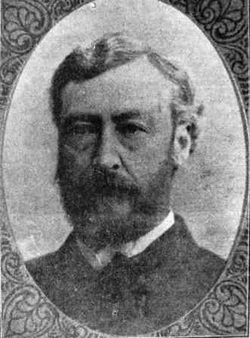 He was married to Harriet Derrick Maynard and had at least one daughter, Helen. Two boys died as babies and are buried near their parents' graves in Greenwood Cemetery. Maynard died in 1857. His estate was not settled until 1893. U. M. Warner came to Rockford about 1843. He died on October 16, 1880 in Topeka, Kansas. He was in the dry goods business and ran a general store in partnership with Hiram Maynard. 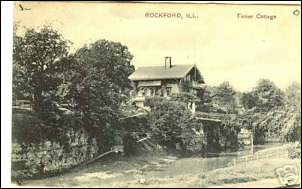 After Maynard's death, he built several buildings in Rockford. One was at the corner of State and Main called Warner's Block and later called Stern's Block. He later was in the grain business in Rockford and in 1874 moved to Kansas and was successful there. He was married and had two sons and one daughter. His remains were brought to Rockford for burial. One son, C. Frederick, was an expert electrical engineer and consultant noted throughout the country. 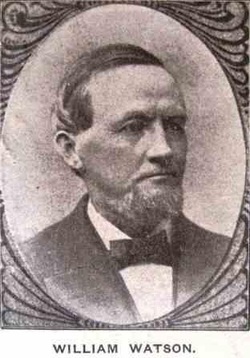 Edward O. Vaughn was elected Mayor of Rockford in April, 1855 and served until April, 1856. He was also City Clerk from 1857-1858 and served as a member of the Board of School Supervisors. During his term of office as mayor, a second school in the city was begun. The first one was under construction on the Eastside; this one was begun on the Westside. These were the first public schools in Rockford. The land for the Westside school was donated by Selden Church and T. D. Robertson. Also during his term, dog laws within a dog tax ordinance and an ordinance specifying the grade on Court Street were passed and several city bonds were issued. 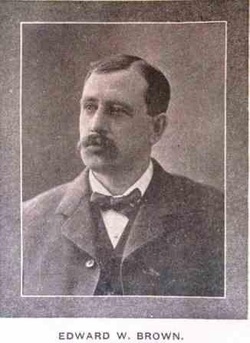 Mayor Loop was the first Rockford mayor to receive a salary for his work as mayor. He was also the first lawyer to serve as mayor of Rockford. He was considered by the local legal community at the time as possessing the finest legal mind Rockford had ever known. He was highly praised throughout the Midwest for his legal and oratorical abilities. He was often called "the smartest man who ever lived in Rockford." He was also known for high and fast living. Born in New York in 1818, he came west in 1838 and lived in Belvidere until 1852 when he moved to Rockford. He was a law partner of both Gen. Stephen A. Hurlbut and William Lathrop. He married Stephen Hurlbut's sister and had at least one daughter. He died in Rockford on February 8, 1865. His daughter, Libbie Loop-Bond, married Fred L. Bond and moved to St.Louis. She died in Maplewood, a suburb or St. Louis, in 1907. Born in England in 1819, Judge Brown came to the US in 1827. He grew up in the state of New York. There he studied law in Rome, NY, and passed the bar in 1845. He then came to Rockford in 1846. He was elected Justice of the Peace in 1847. This began a long and distinguished career as an elected official. He served as district state's attorney, circuit judge, trustee of Rockford town, mayor of Rockford city, and three-term-plus state legislator.Brown died in 1891; the building was finished just after his death and was named in his honor. He was married in 1850 to Caroline Miller and had three children. 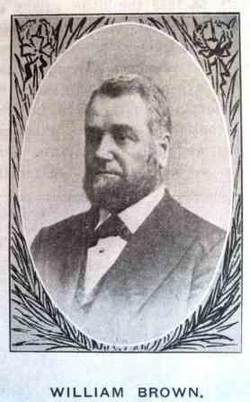 His older son, Edward W. Brown, was elected mayor of Rockford three times. The William Brown Building at 226 S. Main Street, Rockford, was named in honor of Judge Brown who had recently died. 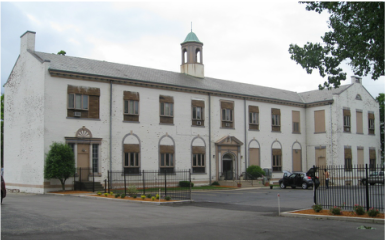 It was constructed in 1892 as a commercial office building and now serves as a commercial and residential site. The builidng is listed on the National List of Historic Places. A fine example of Romanesque Revival architecture characterized by its semi-circular arches, distinctive horizontal lines, and turrets. 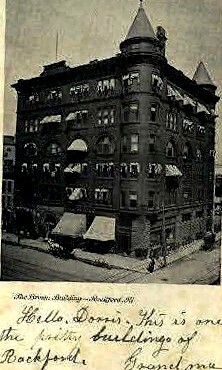 The building sits at the northwest corner of Main and Chestnut Streets. It was likely a happy result of the opening of the Chestnut Street bridge which brought more business to the streets south of State Street. Its first tenant was the People's Bank of Rockford. The building's architect is said to be D. S. Schureman, a prominent local architect of the time, who also designed the Nelson Hotel and Jackson Elementary School. Seely Perry was a graduate of Union College and well educated in English and the classics. He founded a successful boys' school in Lexington, KY, then came to Rockford and founded a similar school in the old Methodist Church. Ill health, however, put an end to his teaching plans after just one year. Perry also served as a member of the board of education and a member of the public library board of directors. Perry was married twice. 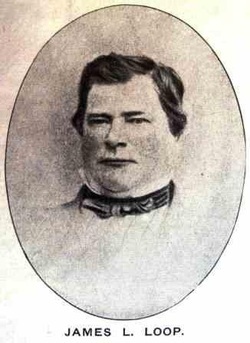 His first wife, Elizabeth Benedict Perry died in 1874. In 1876, he married Marie Thompson, daughter of the founder of a successful wool mill in Roscoe, founded in 1842. Perry's daughter from his first marriage was Eva Perry Moore, who was a national figure in the women's club movement. His daughter by his second wife was Marie Perry Forbes. 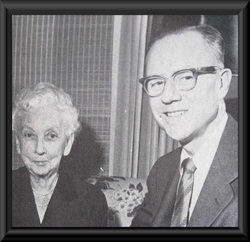 She married Walter Forbes, chairman of the board of the Gunite Foudries founded by his family in the 1850s. Their son, Seely Forbes, was a circuit court judge. Judge Forbes died in 1990. The Women"s Federation was precursor to the Women's Club. 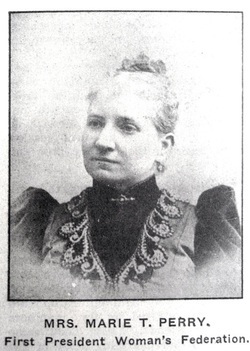 Mrs. Perry held a number of positions in various civic organigations. Mrs. Marie Perry Forbes, daughter of Marie T. and Seely Perry, and her son, Asst. Circuit Court Judge Seely P. Forbes, circa 1960. Photo from 'Sinnissippi Saga'. Albert Fowler was also a strong Prohibitionist. Fowler's administation oversaw construction of a bridge over Kent Creek at State Street. Attention to streets and sidewalks required every male citizen of Rockford over 21 to work 3 days per year on streets, roads and highways or pay a $.75 per day city fee. Edward H. Baker was born in Ferrisberg, VT, April 5, 1828. He came to Rockford with his parents in 1838. He was educated at Knox College in Galesburg and Illinois College in Jacksonville and married Col. Jason Marsh's daughter, got a law degree, then partnered with his father-in-law in their law practice for many years. Jason Marsh was an early settler, lawyer, and the Commandant of Camp Fuller, the training camp on the west bank of Rock River near Auburn Street, and Commander of the 74th Illinois Infantry during the Civil War. 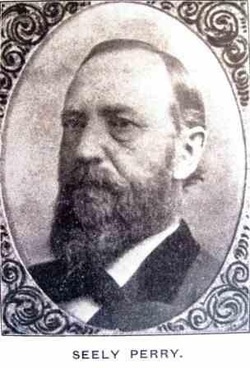 Baker became mayor in 1866 by defeating Charles H. Spafford, his wife's uncle. He was a respected lawyer, an early member of the Winnnebago County bar and Master of Chancery for eighteen years, a Mason, an avid historian, and an active member of the civic community, often called upon to be toastmaster at large events. He was secretary of two companies that expanded railroads from the community. 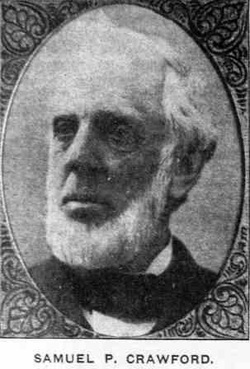 He died January 26, 1897 in Rockford leaving his widow, Frances Marsh Baker, a daughter, Myra, and two sons,Charles and Edward W. Baker, along with three brothers. Fowler was considered a "self-made man." He came to Rockford later in his life and had already become independently wealthy. While one newspaper report claimed he was mayor of Milwaukee, this was a misread of his obituary. 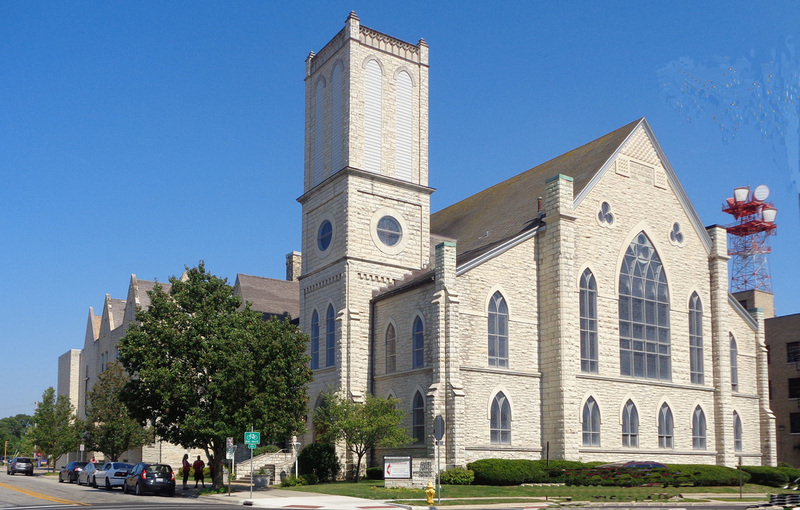 He did live in Milwaukee for 20 years and his remains were sent there for burial. He married twice. He had two children by his first wife, a son and daughter. After his first wife died, he married again and had a son. He was in office when the city's aldermen approved a new iron bridge at State Street to replace the covered bridge that had been there since1854. The Water Works project and the construction of the Carnegie public library buildilng were also begun during his administrationn. 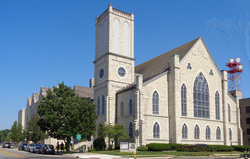 The Church of the Christian Union was organized in his office although he was identified with the Second Congregational Church. He left Rockford and lived his last years in Fort Plain, New York, at the home of his daughter, Mrs. Brown. twice elected mayor, he saw and helped the city grow from a village to a city. Also president of the Forest City Insurance Company. He lived at 501 So.Third St. The home is no longer standing. ROBERT TINKER (1836-1924) Tinker Swiss Cotta ge after a trip to Europe where he fell in love with the design of the Swiss chalet. 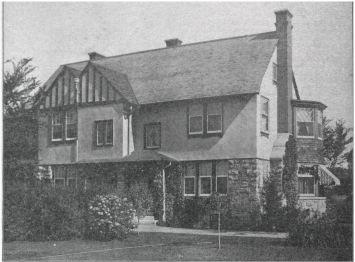 He married John H. Manny's widow and built the chalet on the bluff across Kent Creek from her mansion. Her mansion was torn down to make room for a railroad station. Tinker was also a founding member of the Rockford Park District. The local issue of the day was whether or not liquor establishments would be permitted in the city. Those for them were the "license" people. Those against were the "no-license" people. 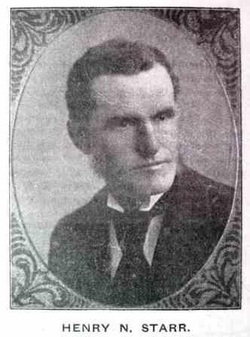 Levi Rhoades, a stauch Methodist, was a no-license candidate. He and four "no-license" aldermen were elected in 1876. The following year, the "license" folks won. 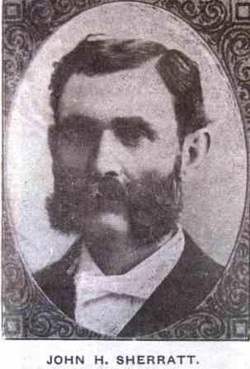 Rhoades ran for mayor once more 1878 but was not re-elected. He was active in civic affairs for many years. 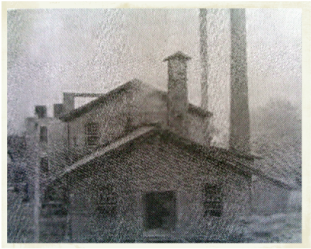 His business ventures included the Rhoades-Utter Paper Mill and buying the land that was Fuller Civil War camp. Rhoades lived at 630 N. Court St. His home was still extant in the 1960s but is now a parking lot. 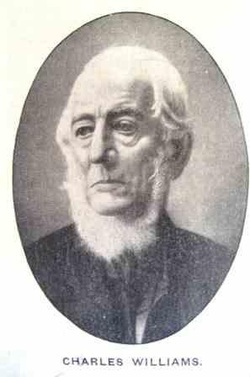 Duncan Ferguson was born in Glascow, Scotland on November 1, 1809. His father died when he was youngs so went to live with his grandfather who gave him a college education at the University of Glascow. In 1829, he married Agnes M. Hope in Sotland. They had seven children. agnes died in 1862. He then married Mary Spellman in 1867. Mr. Ferguson also outlived her. He came to America in 1837 but by 1839 he had settled in Rockford.. A surveyor and draughtsman, he was elected Winnebago County Surveyor and Justice of the Peace for "La Prairie Precinct" in 1840. He held the county surveyor position for 15 years. In 1856, he moved to Charles City, Iowa and was engaged in the banking business there. He returned to Rockford in 1859 and worked in real etate and loan businesses. Before being elected mayor in 1877, he was commissioner for Winnebago County for the imorovement of navigation on the Rock River. He served as an alderman of the seventh ward for six years, served on the County Board of Supervisors for two years, and simultaneously as County Treasurer. In 1862, he was appointed U.S. Revenue Assessor for the Second District of Illinois for five years. He also held the office of city engineer. 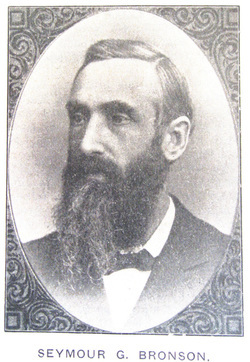 In 1870, he helped found the Rockford Old Settlers' Association. His word was his bond; he was trusted implicitely by his contemporaries. He had a son Duncan H. Ferguson of Rockford. His grandson went to Yale and ran a construction business in Rockford. Born in Massachusetts near Boston or Cambridge on May 10, 1825. His father died when he was quite young and his mother remarried and moved to New York state. He had three sisters, one of whom pre-deceased him. They lived in the east. He was given a scholarship by the state of New York to attend an academy in Albany. He was an exceptional scholar and remained at the academy until he was asked to teach in Rochester. Later he returned to the academy as a professor of mathematics. He compiled a book for students on mathematics published in 1854. 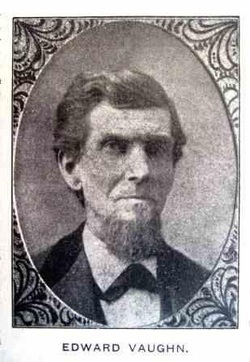 He came to Rockford in 1863 and worked as a cashier for the Rock River Insurance Company for four years. 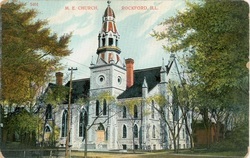 .When the Rockford Insurance Company was founded in 1866 he was elected secretary and held that position until he died. He died of tythoid dysentery on October 11. 1879, at 611 West State Street, corner of West Street in Rockford. April 10, 1878 voter returns showed that William Watson (license) had won the election over Levi Rhoades. The council was composed of four license proponents and three prohibition proponents. His wife, Charlotte L. (Lottie) Goodrich Watson (1848-1941} moved to Paris in 1898 with his one remaining daughter, Fannie. Two children had died at early ages. Fannie was a talented painter. Fannie died at the Watson's home in the Pyrenees Mountains which divide France and Spain. Mrs. Watson had taken her there for her health. Mrs. Watson was a world traveler and, during World War I was a relief worker in France. Mrs. Watson returned to Rockford. She died in Rockford at the age of 93 and is buried in Greenwood Cemetery. He sat on the school board. He was insturmental in opening the Rockford Opera House on Wyman Street. He was interested in manufacturing and began by making wheel spokes. He moved to Milton, Pennsylvania in 1851 where he ran a wheel stock business, then made canal boats. He came to Rockford in 1869 and started the Rockford Bolt Works which he ran successfullly for 25 years. Then he divested his interrest in that compnay and began the Wilkins Knitting Company which was enticed to move to Kenosha, Wisconsin and became the Kenosha Hosiery Company. 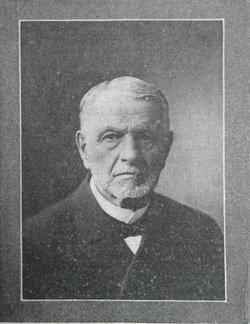 He was president and then vice president of that company until his retirement in 1912. Sylvester Burr Wilkins was said to be conscientious and just with his dealings with others and kept regular habits in his own life. He was respected by all who knew him. 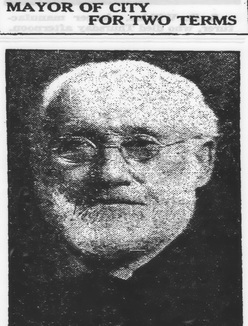 Mr. Wilkins was a member of the Court Street Methodist Church. He was a member of the committee charged with the construction of the church on Court Streeet. It has grown and changed over the years. He might not recognize it today. His daughter, Ruth Wilkins Holt, graduated from Rockford College in 1888. She lived to be 99 and died in 1968. She received a distinguished alumna award The Talcott Cross in 1958 for her life work. She taught organ, piano and music theory at her alma mater and was head of the music department for a time. His son Lester owned a manufacturing business in Chicago making custom-made builders' hardware. He died at the age of 89 in 1952. His daughter Ruth graduated from Rockford College in 1889. Her interest was archaeology and she was affiliated with the Oriental Institute at the University of Chicago. She died in 1951 at the age of 73. 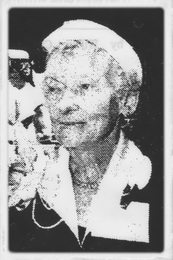 Mary Wilkins Holt, daughter of Sylvester and Mary Wilkins, circa 1965. 1833, the son of Joshua L. and Mary Stowell Wiklins. His parents were born and died in Chenango county. Mr. Wilkins went to school there. He also attended Binghamton Academy (NY) for one term. His business interests took him first to Milton, PA where he met his wife, Miss Jane Goodlander. They were married in 1861. They had three children, George Lester Wilkins, Mary Wilkins Holt, and Ruth Willkins. 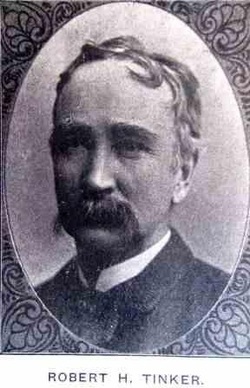 The first paid fire department was established under Mr. Wilkins terms as mayor. Mr. Willkin refused to accept the budget for continued maintenance of a volunteer fire department, requesting a paid force. An old-fashioned budget war with the aldermen of the city ensued and for eight months the issue was unsettled. Mr. Wilkins finallly prevailed with the assistance of manufacturers in the city. The first chief of the Rockford Fire Department was John T. Lakin. 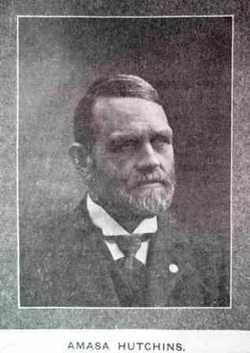 Sylvester B. Wilkins. Photo circa 1920. His residence at the time of his death was 509 N. Church Street. Today that space is a parking lot. He is buried in Greenwood Cemetery. Samuel Preston Crawford came to Rockford the year that it became a city,1852. He served as an alderman of the seventh ward for ten years and as mayor for two terms. As mayor he was interested in a good water system for the city and put in one that led to a better system later. mercantile business and direct or National Bank. Wife, mother and father, sister came to Rockford. Born May 15, 1820 in Union, Tolland county, Connecticut. He died on March 24, 1902 at his home in Rockford, 802 North Horsman. "HE TOOK A DEEP INTEREST IN POLITICS, BUT AS A CITIZEN, NOT A POLITICIAN. . . A TRUE, AND BRAVE, AND DOWNRIGHT HONEST MAN." - FROM ARTICLE IN ROCKFORD STAR, MARCH 13, 1909. Horace Curtis Scovill was born in Camden, NJ and grew up in New York state. In 1851 he came west to Byron, IL where his brother was living. He became a farm worker and went to the college in Mount Morris from which he graduated. As the Civil War heated up he joined the army and was commissioned as a second lieutenant. He rose quickly and was made first lieutenant and then captain. 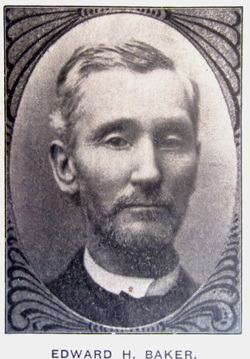 He was wounded in the battle of Nick-O'-Jack Gap and captured at Ringgold, GA . He spent ten months in a Confederate prison and was released only near the end of the war. 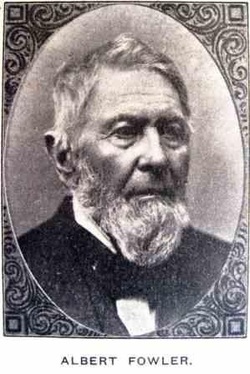 He came to Rockford in 1865 and was in the lumber business with John Spafford. He married Rosa Zoller in 1872 and their daughter Gertrude became the wife of William W. Bennett, also a mayor of Rockford. He began his political career as a township supervisor for five years, then alderman of the second ward for eight years, followed by a two year term as mayor of Rockford on the prohibition platform. Afterwards he was elected city clerk which position he held for 14 years until 1911. He was noted for his business ability, his honesty and his conscientiousness in his duties. He was genial and well-liked. His other civic interests were in Rockford College and the city (Rockford Memorial) hospital. He was president of the Rockford College Board and President of the Third National Bank at his death. A new library on the old Rockford College campus was dedicated in his honor in 1939. The building still stands. 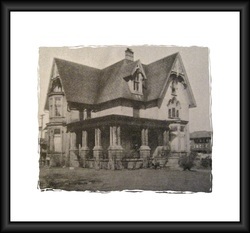 J. H. Sherratt home on Harlem Blvd. near what was then the North End Bridge, circa 1906. J. H. Sherratt Library on old Rockford College campus near Morgan St. bridge. The only building still standing from the old college. Erected 1939. Today it serves as a church. Photo: CJF, circa 2013. 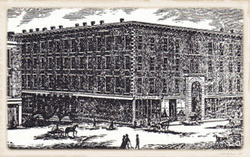 Starr was born in New York City in 1840. He came to Rockford with his parents Melancthon and Lucretia Nevins Starr in 1850. He attended schools in Rockford and opened a dry goods store. He sold that one and opened another which he sold and it became D. J. Stewarts in later years. He is best known for managing the Holland House, the premier hotel in the city in its day. His father, Melanthon Starr, opened the Winnebago National Bank and was an important business figure in the city for many years. Opened in 1856. Changed hands several times but was most famously operated by H. N. Starr (1868-1882), Holland House was a premier hotel in early Rockford. Situated at 200 South Main Street, corner of Main and Elm Streets. It burned down in 1904. 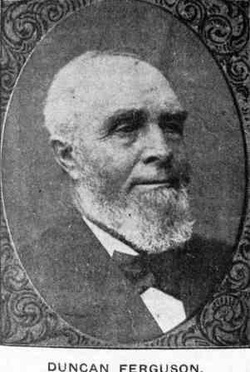 ﻿Amasa Hutchins was born in Guildford Township on June 1, 1843. He was a Civil War veteran, having enlisted in the 74th Regiment under Col. Jason Marsh and served for three years. belonged to a semi-secret anti-Catholic organization called the American Protective Association (Rockford Register Star, July13, 2002) It's goal was to keep Roman Catholics from serving in public office. On his watch, DeKalb and J. L. Ellwood won the state legislature's nod for the building of a university (NIU) in that community. 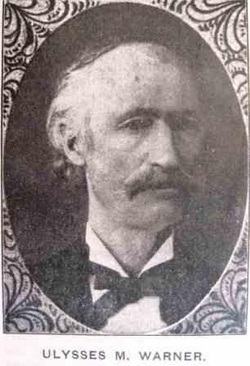 Edward W. (E. W.) Brown was the son of former mayor (1857) and circuit judge William Brown. 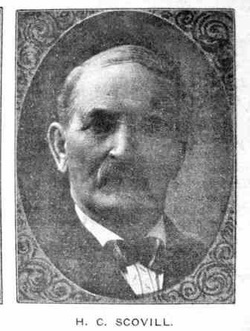 E. W. was the first Rockford agent for the Illinois Central Railroad and held that position for more than three decades before his retirement in 1927. He was an alderman and mayor. It is the only father-son mayor combination in city history. Brown worked for the improvement of business and city services and brought industry to Rockford. As outgoing mayor, alderman voted him "Best Mayor" (1901). Photos from 1904 newspaper special edition commemorating 50th anniversary of Rockford as a city. Rockford Historical Society. Attribution requested when using information from this site.